In Remember Little Rock Erin Krutko Devlin explores public memories surrounding the iconic Arkansas school desegregation crisis of 1957 and shows how these memories were vigorously contested and sometimes deployed against the cause. Delving into a wide variety of sources, from memoirs to televised docudramas, commemoration ceremonies, and the creation of Little Rock High museums, Devlin reveals how many white moderates proclaimed Little Rock a victory for civil rights and educational equality even as segregation persisted. At the same time, African American activists, students, and their families asserted their own stories in the ongoing fight for racial justice. Devlin also demonstrates that public memory directly bears on law and policy. She argues that the triumphal narrative of civil rights has been used to stall school desegregation, support tokenism, and to roll back federal court oversight of school desegregation, voter registration, and efforts to promote diversity in public institutions. 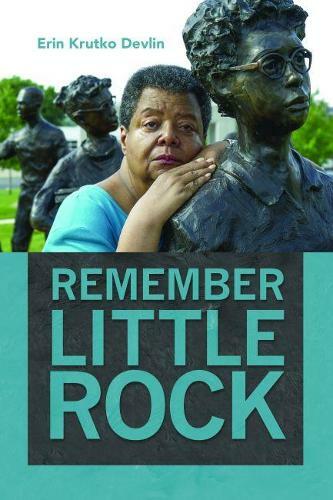 Remember Little Rock examines the chasm between the rhetoric of the "post- civil rights" era and the reality of enduring racial inequality.